Purchasing Total Doc Converter is purchasing a solution to a whole bunch of issues. One big advantage of this program lies in an opportunity to convert DocM to HTML in batch. For this reason, Total Doc Converter is a must-have utility for people who have to convert DocM files to HTML on a regular basis. Thanks to command line option, this converter can be operated from within various programs without launching interface. You can get it to do the work you need by typing in commands, which you can find in the Help menu (command line parameters). 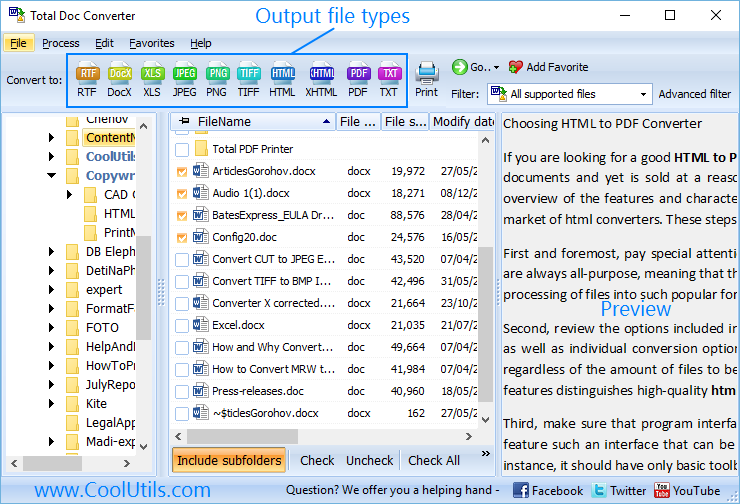 This DOCM Converter is very easy on users' eyes. Absence of navigation difficulties makes this program attractive and usable for both top-level savvies and first-timers. 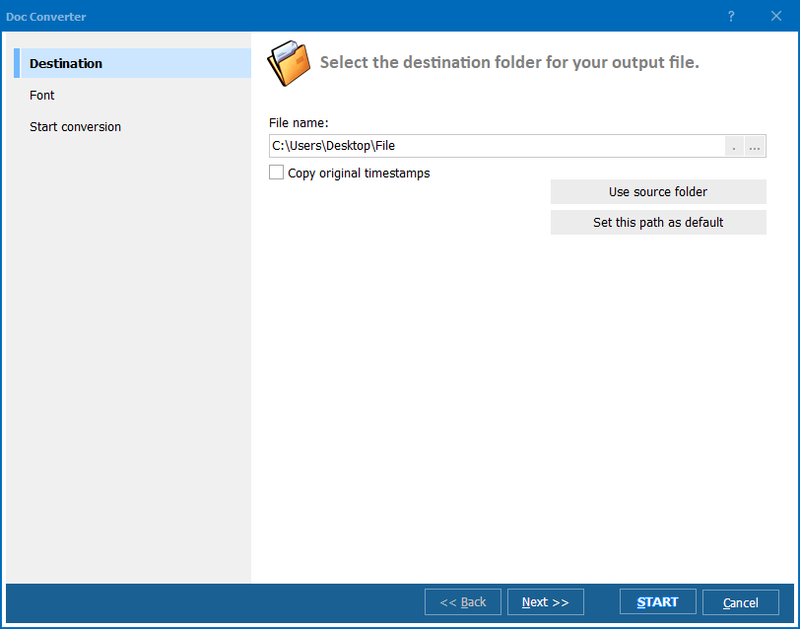 Run the converter and select the folder with DocM files. Tick the documents, which you want to convert to PDF. If you are converting a small number of DocM file, tick them using the mouse; if you wish to process the whole batch, tick the "Check all" option. Select RTF, PDF, HTML, etc., in the toolbar and adjust the wizard's parameters. Select destination path, font, etc. The set of conversion parameters depends on the target format. For example, you can sign and password-protect your PDF documents, but you cannot do that to HTML files. Review the chosen parameters via the the "Start Conversion" option, then press "Start" to convert. 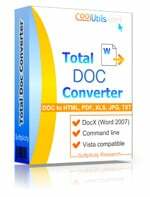 Total Doc Converter is available on our official website. You can purchase it right now using any payment method. The demo version is valid for 30 days only. If you buy the license version, you will be receiving regular updates during the first year from purchase. 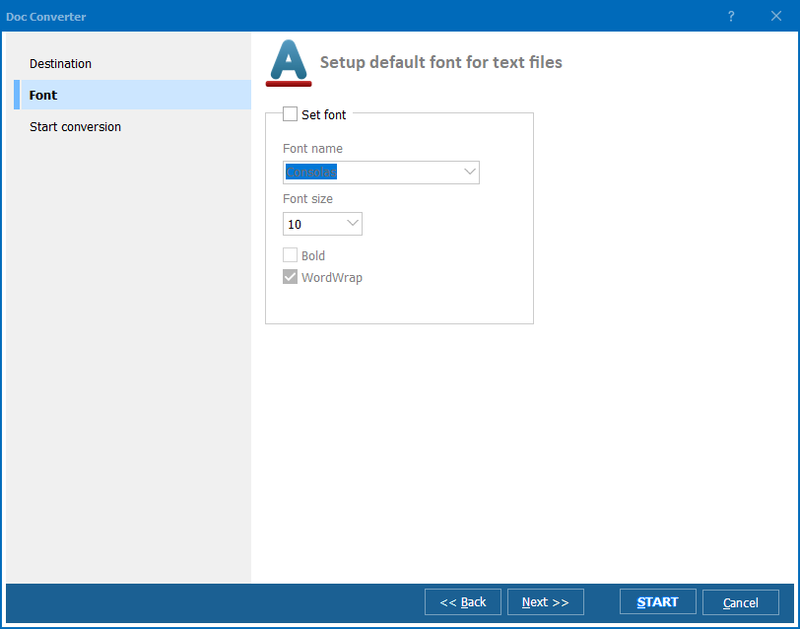 How to use Total doc Converter to convert Word files to Excel?